Billups, the leading independent agency in the out-of-home (OOH) industry, today announced the appointment of Ryan Chisholm as Regional Director of its Denver office. Billups, the leading independent agency in the out-of-home (OOH) industry, today announced the appointment of Ryan Chisholm as Regional Director of its Denver office. 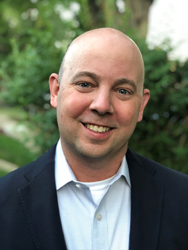 With 15 years in the industry, five of which were with Billups at one time as Director of Media, Chisholm will oversee and grow the Billups office in Denver as well as partnering with clients in surrounding states including Colorado, Arizona, Nevada, New Mexico, Utah, Wyoming, Kansas and more. Raised in Golden, Colorado, Chisholm has deep industry experience with various OOH, advertising and media agencies including Billups and Clear Channel, where he was the General Manager of the Denver International Airport and Sales Director of a 4-state region for Clear Channel Airports. In addition to Chisholm’s appointment, Billups continues to build momentum as the largest independent OOH agency in the country. Today Billups employs more than 95 people, spanning 14 offices nationwide, with a roster of top agencies and brands across categories such as CPG, entertainment, QSR, retail, spirits, tourism and technology. Billups is revolutionizing the out-of-home (OOH) media experience. Blending art and science with advanced technology, Billups leads the industry with scientific targeting, accurate OOH measurement, and an innovative AI-powered recommendation engine. Founded in 2003, Billups is the nation's largest independently held OOH media specialist agency, offering strategic planning, buying, production and brand experiences. Recently named one of America's Most Promising Companies by Forbes, Billups is headquartered in Portland, Oregon with a team of more than 95 employees and 14 offices nationwide. Find out more at Billups.com.